Chip Chip Ltd provide play area safety surfaces. All of our play area surfaces are fully certified in accordance with British Standards. Our product is produced only from virgin timber (Spruce, Pine, Larch) and contains no waste wood in the production process. 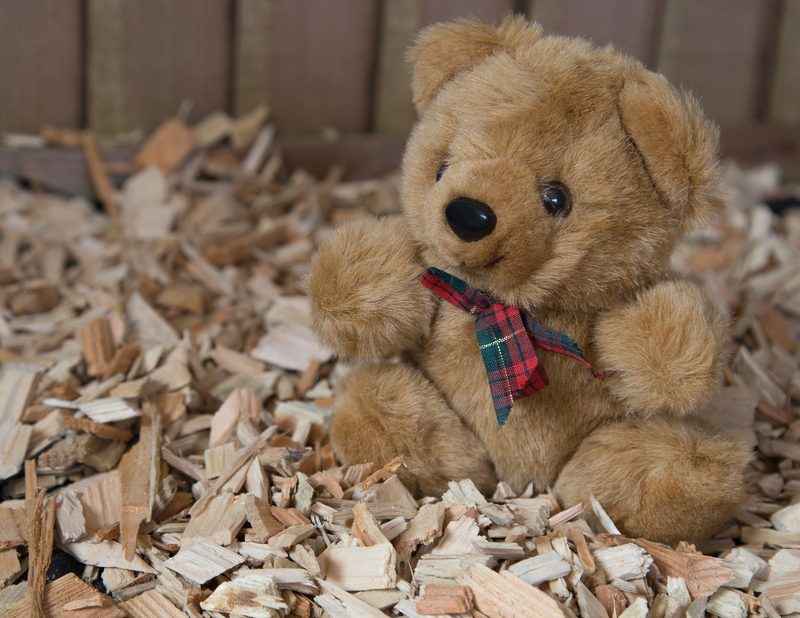 Our wood chipping process means that the end product is free of dusty material and oversized and dangerous particles. Every play area is different. If you have large climbing frames, Critical fall height must be considered when making your choice. If not, the choice will come down to aesthetics, cost and utility. RoSPA recommend 300mm depth minimum for public play areas, and 150mm for domestic. However these figures should also balanced against the products performance when high standing play equipment is in use. We are competitively priced on both large loose loads of up to 100m3 articulated lorry loads as well as 1m3 bagged loads so a lot of it comes down to whether you need a bulk load of your play chip or just a few cubic metres. Used by families, councils and commercial play areas across England and Wales, Chip Chips Playchip, produced using only virgin pine, provides an attractive, easy-to-maintain and above all safe play area that guarantees a soft landing for your little ones. For the best possible safety benefits, we recommend that commercial play areas have pine play bark to a depth of 300mm. For domestic use, the depth can be reduced to 150mm without compromising your children’s safety.